Sponsor Fatna! - iACT | CommitChange | We help organizations raise more money, more sustainably. Launch Fatna's participation in the Darfur United Women's Team! Fatna is also one of the coaches at the Refugees United Soccer Academy in refugee camp Farchana, located in eastern Chad. This camp hosts over 27,000 refugees originally from Darfur, Sudan. 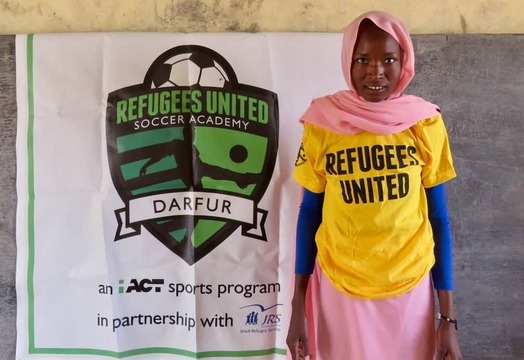 For just $450, you can sponsor Fatna's participation in the Darfur United Women's Team training camp and formation; and provide her with training materials, team gear—including a uniform—transportation to and from the training camp, and training camp meals.